SDSU Women’s Club Water Polo Headed To Nationals!! Here is a note from the SDSU Women’s Club Water Polo Team that we wanted to pass on to our readers. Many of you are already aware but we are heading to NATIONALS! The A team won out in the Southwest Division tournament beating SDSU B, UCI and UCSD to punch a ticket into the tournament. The B Team finished the season 5th in the division with a great win over U of A. This is the programs fourth trip overall. 3rd CONSECUTIVE trip to the CWPA National Championship.This is the programs 3rd straight divisional outright title (2014 Pacific Coach Division, 2015 & 2016 Southwest Division). The program is on a roll and we are looking to keep the moment heading to UC Santa Cruz in early May. After the conclusion of the tournament we had our first ever banquet. Where we honored all seniors. Then especially our first set of four year seniors. Current President Katie Enstad, Former President (2014 & 2015) Natalie Parker and Secretary Allison “Texas” Tester. A fun afternoon spent with all our parents and fans. So thank you to those that attended. We look to continue the tradition. The tournament is May 6-8 at UC Santa Cruz. At this point in time the teams travel is all BOOKED! We are ready and beyond excited. We are already looking forward to having many Aztec fans out in support. So alumni in the bay area it is going to be a fun weekend with great water polo and we hope to have you join us! It will also be live streamed and we will send that information along when we get closer. We will be the #4 seed heading into the tournament. Seeding is determined by where your league finished the previous year. Last year our team took 4th for the Southwest Division in Vermont. As the tournament gets closer we will continue to update everyone with the programs plans. If you have any suggests of what to see, where to have a team dinner please send them over! Make sure to also follow us on social media (Instagram, Facebook and twitter). If you are interested in making a contribution to the program please find the information below. The funds will be used to cover the programs cost at Nationals and the purchase of some much needed new equipment. Some fun pictures from the day (below). Night before the Southwest Division Championship tournament sports clubs hosted the 1st ever Dodge Ball Tournament to claim a sports club champion. Turns our we are not very coordinated on land. Thankfully Sophomore Brooke- has a cannon and managed to help us not be the first team eliminated. Though we were out pretty quick after that! This last Saturday about half of the team made the trip up to Santa Barbara to get in a friendly scrimmage with the #5 seed UCSB in the tournament. Great chance to get in a bit more play time and see what we are matching up against. Sunday six players joined the rest of SDSU Sports Clubs at the Speak Up 5K volunteering on course. 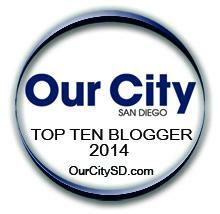 Another way Aztecs are making a difference in the community. Thank you to everyone for all the support. As well as the Aquaplex staff for helping us put on a great Southwest Tournament. It has been a fun season so far and so many more adventures and games to be played! The girls are working hard at the pool and we are snagging extra pool time all over the place. Then we are focused on school so that finals can be taken prior to departure or very quick upon our return from Nationals. 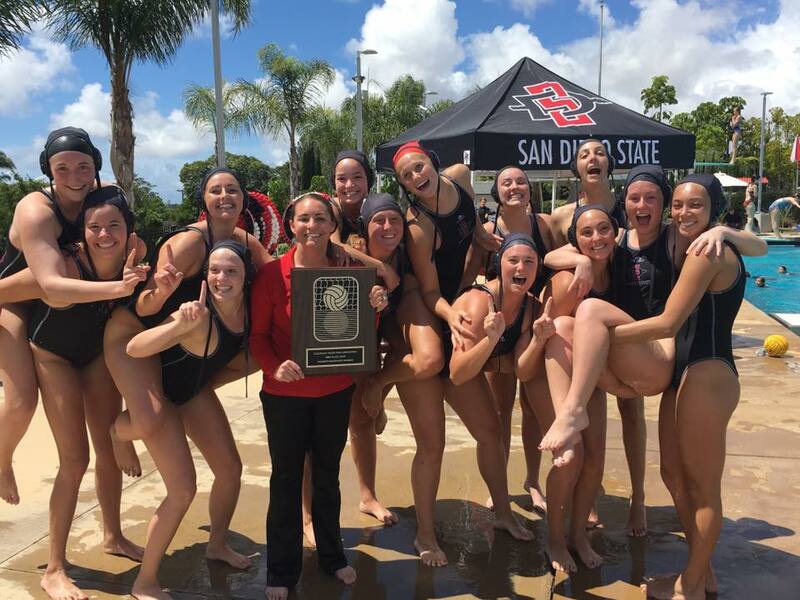 SDSU Women's Club Water Polo Headed To Nationals! !